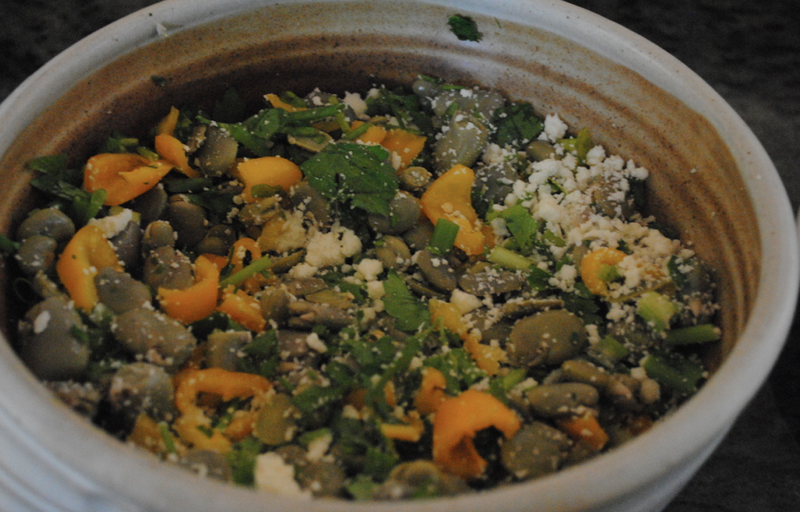 * Once you have boiled and shelled the fava beans, set aside. 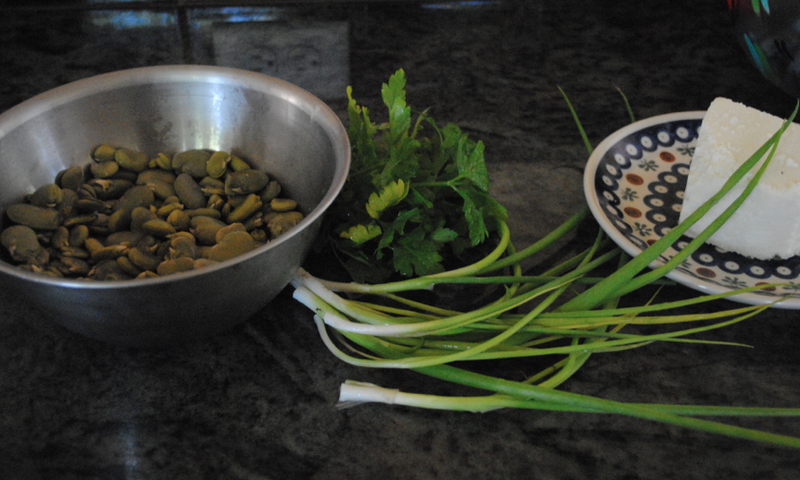 * Chop up the parsley, scallions, pepper and add to the beans. * Dash some salt and pepper, mix all together and serve cold. 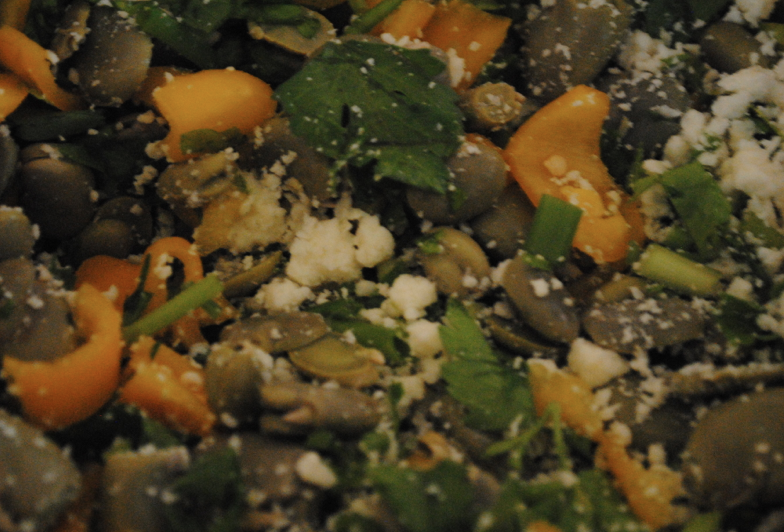 * You can really make this salad with any vegetables… whatever is freshest at the supermarket or in the CSA box. It’s the fava beans that are the key. Be creative! * Literally every time I (cough cough, my mother) makes a dish with fava beans, I wonder if the dish will be worth the time and effort of preparing the fava beans. But after one bite, I realize that it is TOTALLY worth the time. So delicious. 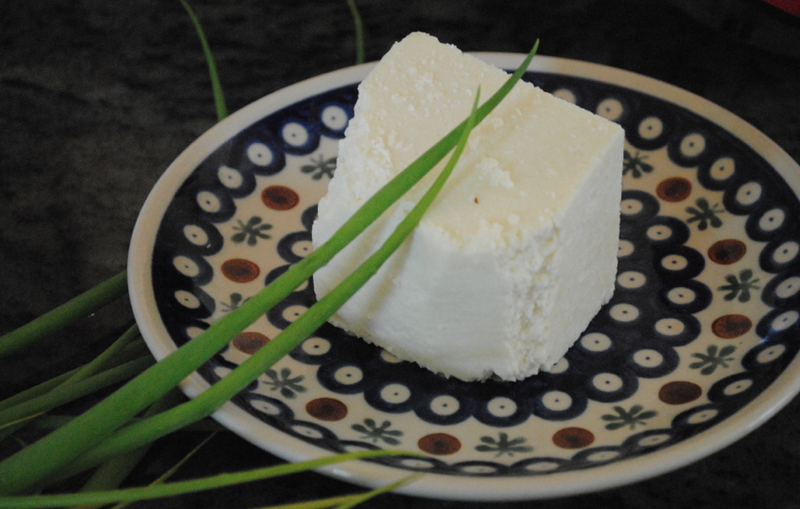 How ’bout the Boleslawiec china plate for the queso fresco? and the hand-thrown salad bowl? YEP! Beautiful china plates, Papa!